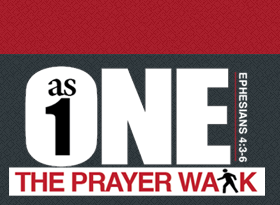 The AsONE Prayer Walk is an annual ecumenical gathering hosted by AsONE Fellowship, Inc., that takes place on the second Saturday of each April in Festival Park in historic downtown Fayetteville, NC, starting at 10am, gates open at 9am. People of various ages, ethnicity, religious denominations and backgrounds gathered for one purpose – to unite in prayer as one massive body and proclaim the greatness of our God! Participants will stop at five prayer stations along the designated route through Downtown Fayetteville. The prayer walk will conclude back at Festival Park with a final prayer. This year AsONE Fellowship has developed a week of activities that focused on “Unity & Service” to establish the first annual “AsONE Unity Week & Prayer Walk“. 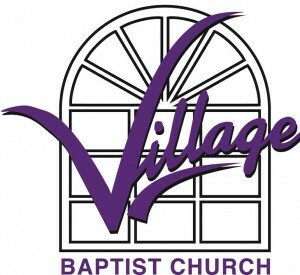 Tuesday, April 9 – Salvation Tuesday (partnership w/Salvation Army) – Goal is to feed 2,000 people. Wednesday, April 10 – Build Wednesday (partnership w/Habitat for Humanity) – Goal is to frame 2 houses; will either be on B Street or Bunce Road. Saturday, April 13 – UnityFest Concert – Festival Park, gates will open at 4pm. Event starts at 5pm. There will be a ticket fee. *Rev. Dr. Samuel Rodriguez is the President of the National Hispanic Christian Leadership Conference (NHCLC), the world’s largest Hispanic Christian organization serving as a representative voice for the more than 100 million Hispanic Evangelicals assembled in over 40,118 U.S. churches and over 450,000 churches spread throughout the Spanish-speaking diaspora. Prominently featured in the April 15, 2013 TIME cover story, The Latino Reformation. The AsONE Prayer Walk is a moment of solidarity and organizers ask that all participants wear the AsONE T-shirts to signify their proclamation of unity.